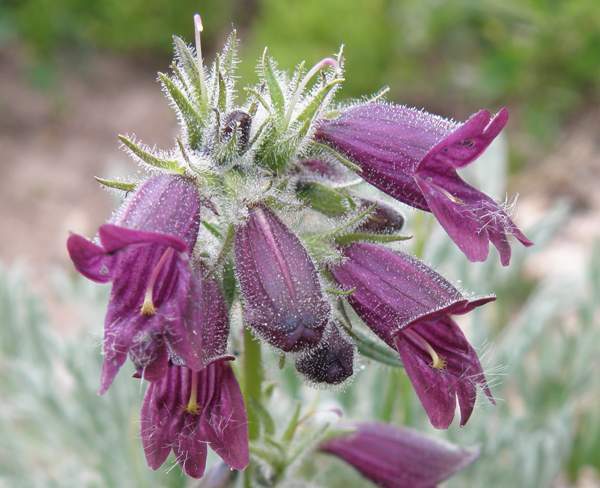 This darkly beautiful wild flower is one of the many species of penstemons that grow throughout the Rocky Mountains; it is nmed after railroad route explorer Amiel Weeks Whipple (1816--1863) who surveyed possible routes for the Transcontinental Railroad from Arkansas through the Panhandle of Oklahoma and onwards to Los Angeles. Penstemon whippleanus grows up to 20 centimetres in height and is a welcome sight when many of the earlier wildflowers are beginning to die back. The plants often have a number of flower spikes. 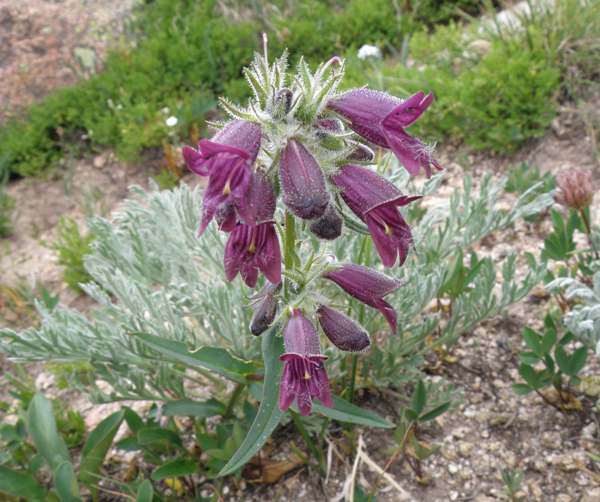 This species grows in montane, subalpine, and alpine open forests, clearings and on roadsides. The specimens shown on this page were photographed in Rocky Mountain National Park in late August .